E 7th Ave has all the chill. Major foodie trend arrives on E 7th Avenue. It’s a wonderful time to be a foodie in the Tampa area — it’s even better if you happen to have a sweet tooth. Ybor’s E 7th Avenue is a bustling stretch of caffeine, local music, fresh food and history. Soon, the latest culinary trend sweeping the country will find a home in the burgeoning area. We’re talking about stir fried or rolled ice cream courtesy of Snobachi. Snobachi will officially open on New Year’s Eve. This hibachi-inspired handcrafted ice cream business is set to open at 2206 E 7th Avenue on December 31. They’ll host a ribbon cutting ceremony at 2:30pm and remain open until 2am on New Year’s Day. The business offers ice cream and frozen yogurt bases, with a variety of toppings to choose from. 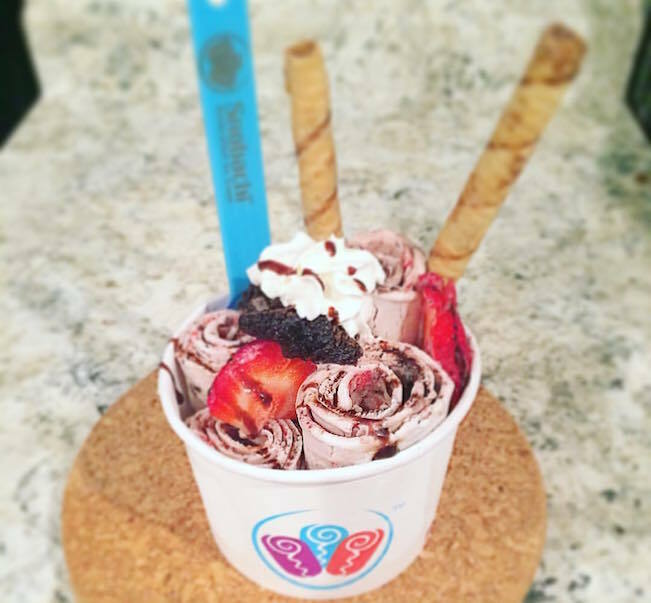 So far the company has featured several lethal combinations like the strawberry brownie Snoroll, a banana and m&m mashup, double stuffed Oreos with chocolate chips and the Avocayo — frozen yogurt mixed with avocado, chocolate and bacon toppings. 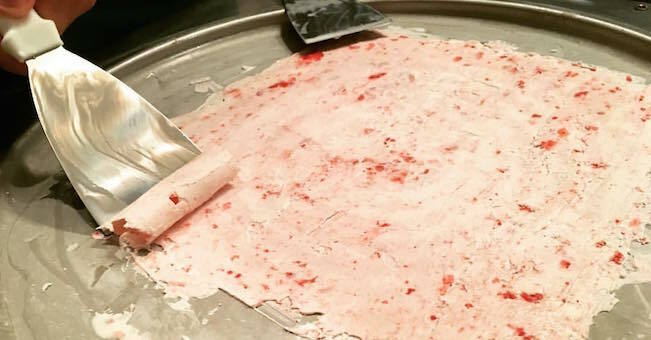 Beyond rolled ice cream, Snobachi delivers something new with Dragon’s Breath. Snobachi will also feature Dragon’s Breath — a combination of liquid nitrogen and dippers such as brownie bites, popcorn and marshmallows. Customers place the dippers into the liquid nitrogen and any dipping sauce of your choice. So, why is it called Dragon’s Breath? After your first bite, you’ll exhale a bit of harmless smoke. The business was founded by three members of the military. Co-founders Jonathan Andujar, Roxanne Andujar and Marilyn Nieves all have military backgrounds. Jonathan is a military veteran. He served with the US Air Force for six years as a Security Forces Specialist. Roxanne is retired military with the US Air Force with a background in logistics. Marilyn is retired military of 23 years with logistics experience in the US Army. She also served as a JROTC teacher for ten years. 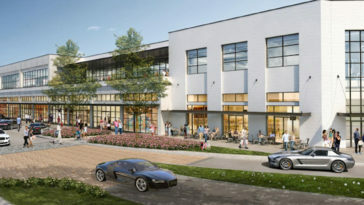 Each comes with an unrivaled passion for food and community, along with the entrepreneurial spirit that has pushed Tampa into its current small business renaissance. Stay up to date on their latest flavors by following them on Facebook, Instagram and on their website. Previous article New Tampa Bike Lane Among Best in U.S.